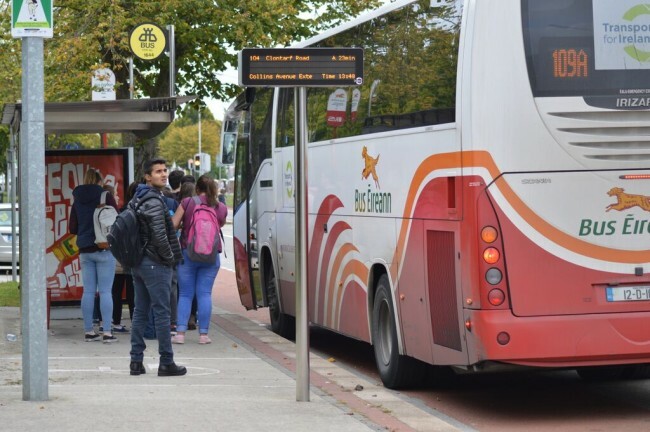 Many DCU students are left with no choice but to commute to college due to a lack of student accommodation for this academic year. Accommodation far from universities has been the only option for some students, leaving them with substantial travel costs in addition to their cost of rent. “I ended up finding a place all the way out in Clondalkin and with a week left until college began and my paranoia of being homeless, I took the offer, leaving me with a two and a half hour round trip to and from college,” said Zainab Boladale, a DCU Journalism student. “I feel that DCU does try to accommodate students, but there’s only so much they can do when there just isn’t enough places going,” he said. The lack of accommodation available this year is a result of the property crisis coupled with the fact that many landlords won’t accept students. “There are many accommodation and housing websites out there and they’re easy to use, but the vast amount of advertisements refuse students, or ask for full time workers, which makes it really difficult to find something for a reasonable price while still being available to a student,” O’Doherty said. Students commuting and obtaining the SUSI grant are forced to allocate the majority, if not all, of their SUSI payments to the cost of travel. Students living in the surrounding counties to Dublin have the advantage of buying a Student Leap card that caps at €20 a week. DCU Students’ Union Welfare Officer, Domhnaill Harkin and the accommodation office on campus are available to contact for students that need support or advice while searching for accommodation.